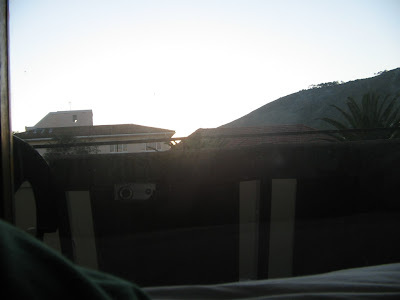 The author wrote the first sentence in a spiral-bound notebook by the side of his bed in 2006, and uploaded the first sentence to his blog on the 5th of July, 2007. All subsequent posts encapsulate what has become the I Wrote This For You series, a seemingly never-ended photography-and-poetry project. 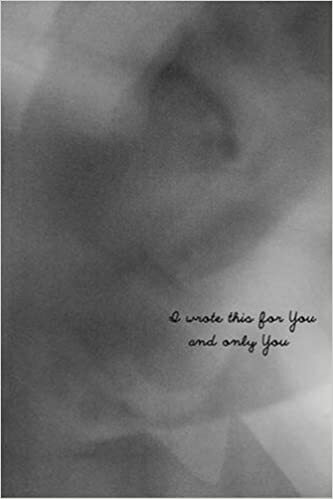 The digitized and printed series I Wrote This For You was officially released as a book in 2011, but remains accessible at http://www.iwrotethisforyou.me/. In 2009, for his work as the author of the art/photography project “I Wrote This For You”, he was voted one of the top 5 finalists in the world in the “Best Blogger To Follow” category on mashable.com under his online pseudonym, pleasefindthis. The project, which has proven incredibly popular across the world and gone on to become a best selling book, has also afforded him numerous exciting opportunities, including an invitation to dinner with the US Ambassador to South Africa, Donald Gipps as a consultant on digital development within South Africa, and a speaking spot at TEDx Johannesburg. In 2011, the first I Wrote This For You was published with ireadiwrite. Nearly 200 of the best, most relevant entries and photos from the I Wrote This For You project were published in print and as an e-book. The book is split up into four sections; Sun, Moon, Stars, Rain. It puts things into an order, and contains several entries that only appear between its pages. The titles prime the reader for the tone of the prose, but each photograph and title challenge associations with the prose. For example, above, many meanings can be derived from the poem alone. If the prose is read by itself (how it is presented in Just The Words), one might feel romantic love. But, when read with the somber photograph, the prose becomes more desperate. A picture is worth a thousand words in itself, each adding to and morphing meaning behind the poetry. I Wrote This For You And Only You is the second collection, comprised of the most popular blog entries in both photography and prose, from 2011 to 2015. The follow-up(s) to the #1 bestseller I Wrote This For You, I Wrote This For You: Just The Words presents twice the number of entries with over 400 works from the internationally acclaimed poetry and photography project; including several new and never before seen poems. While focusing on the words from the project, new photography launches each section which portray everyone’s journey through the world: Love Found, Being In Love, Love Lost, Hope, Despair, Living and Dying.” I Wrote This For You: Just The Words contains 400 text entries (as opposed to I Wrote This For You And Only You, which contains 200 entries with photos), and has a lot of exclusive entries that don’t appear on the blog or anywhere else. And because it does not print color photos, it costs less. Iain S. Thomas is the #1 bestselling author of I Wrote This For You, Intentional Dissonance, 25 Love Poems For The NSA, How To Be Happy and other books. He wrote his first book, Ignite, at the age of 23 for the Markham clothing store. It won the Grand Prix at the First Paper House Art Of Design Awards and a gold craft award for copywriting at the national design/advertising awards (The Loeries). He has more than 20 local and international awards. His work can be found in The Rand Daily Mail, Subtraction by Mathew E. May, Thrive by Arianna Huffington, Communication Arts, Design Indaba Magazine, Ad Vantage Magazine,bestadsontv.com, Contagious Magazine, Archive, The University of Pretoria’s Permanent Design Collection, X-ings: Shaping Culture Through Design Exhibition, The United Nations Gallery of Sustainable Communication, TEDx, Heso Magazine (Japan) and http://www.inpursuitofelegance.com. Find his blog at http://www.iwrotethisforyou.me/.